When hearing the first notes of “The Eskdalemuir Harmonium” by (Scottish) composer Chris Dooks – created together with Machinefabriek – and reading the album’s liner notes, one thing is very clear: a Harmonium is a strange and fascinating instrument. Discovering two harmoniums (“one kept warm and dry, the other allowed to decay in a barn”) in Eskdalemuir, Chris Dooks immediately felt attracted and started to record their sound. His affection for the harmonium, as described above in the quotes, may come from the fact that he himself is suffering from M.E. Currently he is working on his PhD “revolving around creative responses to chronic illness”, so I guess finding these instruments was an unexpected gift. A gift shared on this beautiful red vinyl LP. 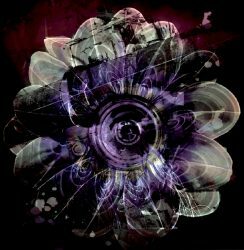 (The digital download, also included with the vinyl purchase, also includes an extra 3-track EP: “Non-Linear Responses Of Self-Excited Harmoniums”). Most of the tracks are recorded on the “well-preserved” harmonium, but the tracks from the ill and decayed instrument might be even more touching. Obviously, no attempts were made to edit out the creaking, asthmatic sounds since they are important additions to the organic feeling of this instrument. 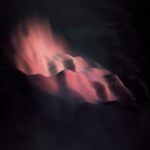 In their collaborative work on the final mix, Chris Dooks and Rutger “Machinefabriek” Zuydervelt made sure they treated the sounds as if they were field recordings. Though this music may be labeled ‘experimental’, it is by no means ‘electronic’. ‘Organic’ definitely is a better description. 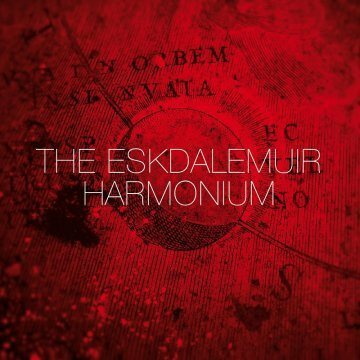 “The Eskdalemuir Harmonium” is a remarkable personal statement celebrating an instrument that definitely nót deserves to be left to decay in a barn.